They are both great, it really depends on the look you want for your pictures. The mornings give a brighter more tropical look, the sunsets a more orange light and the opportunity to have a Maui sunset in the background. Which is better, a sunset wedding or morning wedding? We are very lucky on Maui, it is hard to find a BAD spot! Although most Maui beaches and venues are beautiful we do have our favorites! 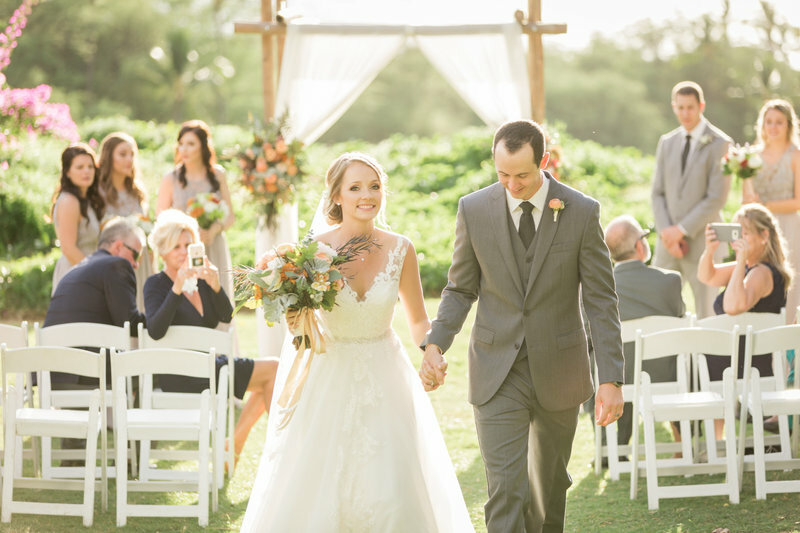 If you have already looked at our Maui wedding locations page and don't know which location to choose we can recommend one for you! Just let us know what your ideal location would include and we can help! 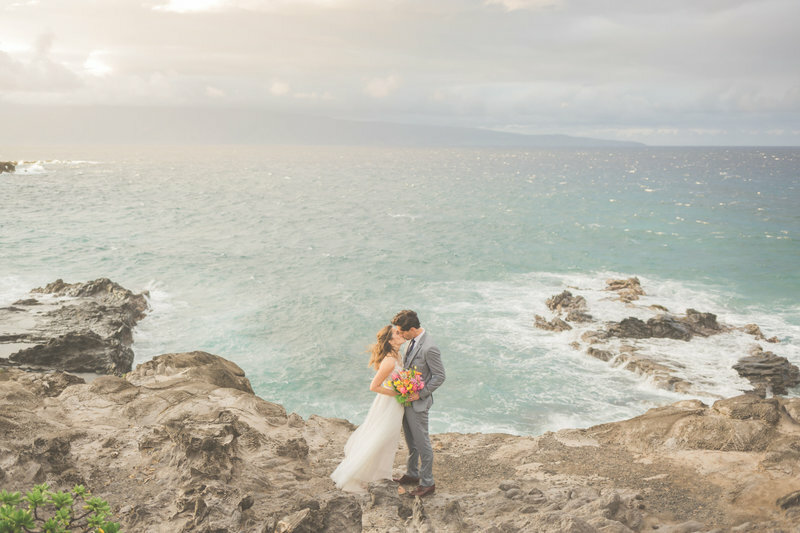 What is the best Maui Wedding location? We like to keep things SIMPLE so we do not offer other services not included in our packages. However, when you book with us we will provide you with a list of our favorite Maui vendors for other wedding services and you can choose to book any other vendors you would like on your own. We also partner with a fabulous concierge who can book many extras and activities for you at no additional charge! 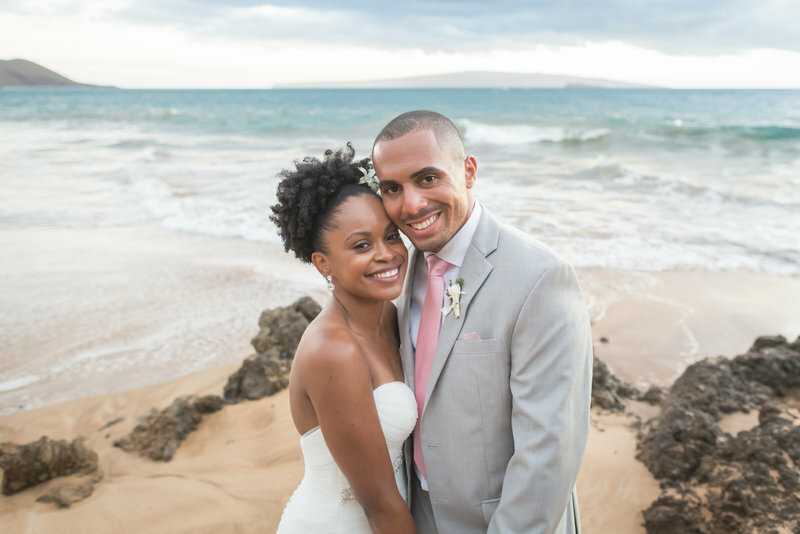 Do you offer other services not included in your Maui wedding packages such as limos, hair, make up etc.? A completed booking form and a deposit of 50% of the package price. The deposit less a $500 fee for work already performed is refundable if we receive your cancellation at least 3 months before your wedding date. The balance of your package is due 2 months before your wedding date. We will provide you with a list of locations where you can obtain your marriage license as well as their hours of operation. We recommend you get your license as soon as you arrive on Maui. Once you get your license, you have 30 days to get married. How do we get our Hawaii Marriage License? 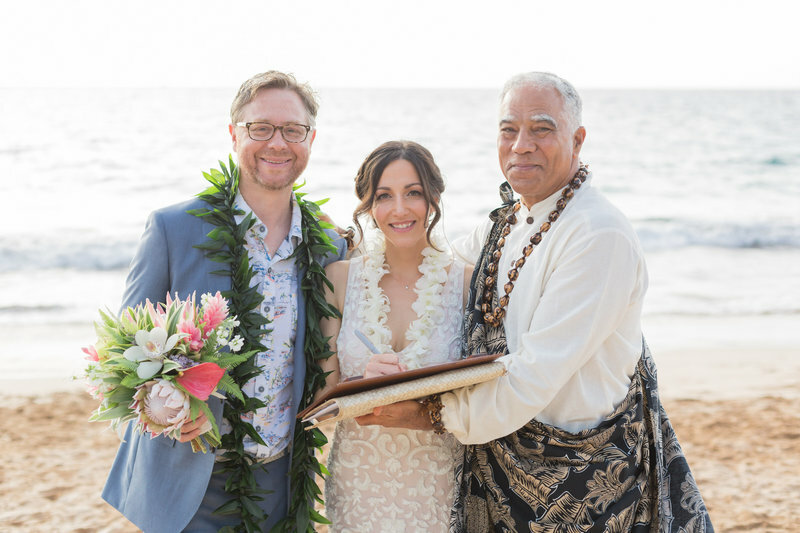 Click Here for a full guide on getting your Hawaii marriage license with links to state resources. A link to your proofing website will be sent to you via e-mail approximately 3-4 weeks after your wedding. Turnaround time may be longer in peak season. You can share this website with all your friends and family and professional quality prints are available for purchase through your website. You will have more photos on your website than what is included in your package, you will then get to choose your favorite images. You can also choose to purchase additional images above what was included in your package. 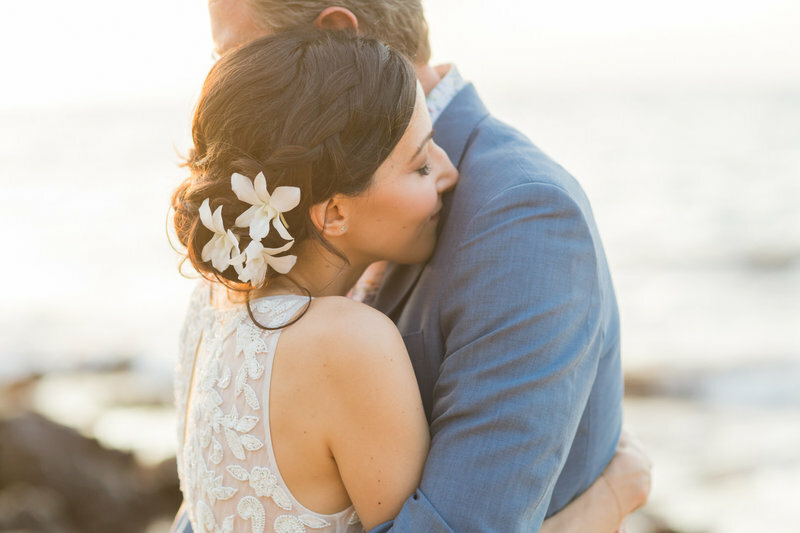 How soon can we view our Maui Wedding Photos? Your wedding photographer will be assigned from the the Karma Hill Photography team. Karma Hill Photography is a well established and experienced photography company. All of the photographers on the team shoot in a similar style using the beautiful natural light of Maui as well as off camera lighting when needed. All images are reviewed by the lead photographer and owner, Karma, before they are released to you to insure the consistent amazing quality you see throughout our website and blog. The beach in Kaanapali is restricted for commercial activity, meaning, no weddings on the beach. 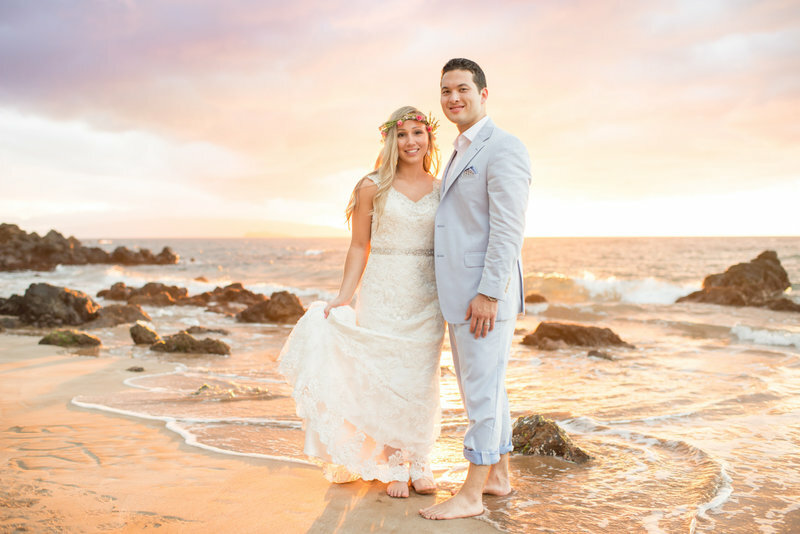 That is the reason you see beaches available north and south of Kaanapali beach on our Beach Wedding Locations page for the West Side of the island (Kaanapali, Lahaina, Kapalua area). The state can impose fines for conducting commercial activity on the beach up to $5000. Can we have our wedding on Kaanapali Beach? All the beaches of Maui are considered public property and chairs, arches or any other thing that could obstruct use of other people using the beach is not allowed. If you would like an arch or chairs, consider one of our amazing private venues. Can we have chairs or arches on the beach for our wedding? State permitting rules allow for a maximum of 30 guests. For larger groups, we are happy to help you create a beautiful venue wedding. 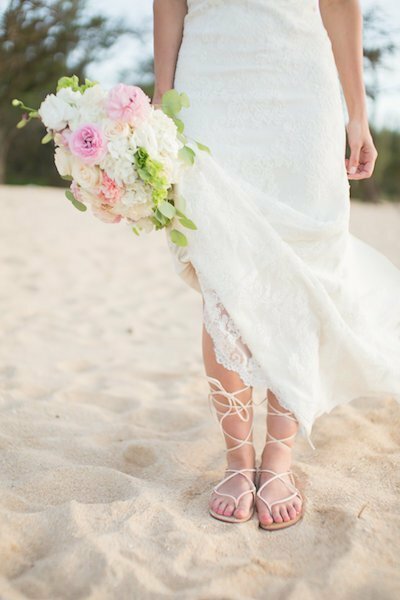 What size wedding do you recommend for a Maui beach wedding? 'ALL' of the photos on our website are taken in the morning or at sunset, because these are the optimal times for lighting. The intense sun can make it very difficult to get great shots as it creates lots of unflattering shadows. We can definitely accommodate a mid-day or afternoon wedding, but it is not recommended for best possible outcome for photography. Can I have a 'mid day' or 'afternoon' wedding start time? Luckily, this does not happen very often on Maui! 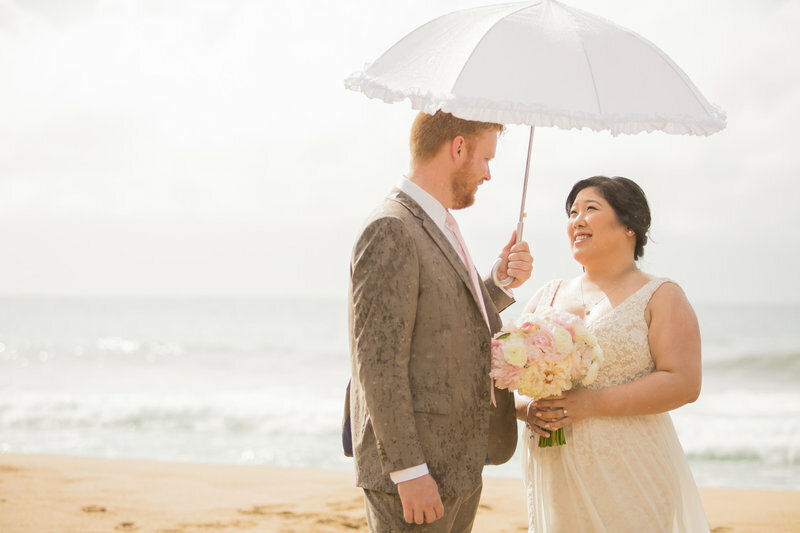 In the event we have localized rain showers, we will attempt to move your ceremony to a nearby beach where it is not raining. If the rain island wide, we will proceed as planned with umbrellas unless the weather is dangerous. It is almost impossible to re-schedule a wedding because of the availability of our team and clients planned travel schedules, so we do not re-schedule a wedding unless the conditions are too dangerous to be out in. 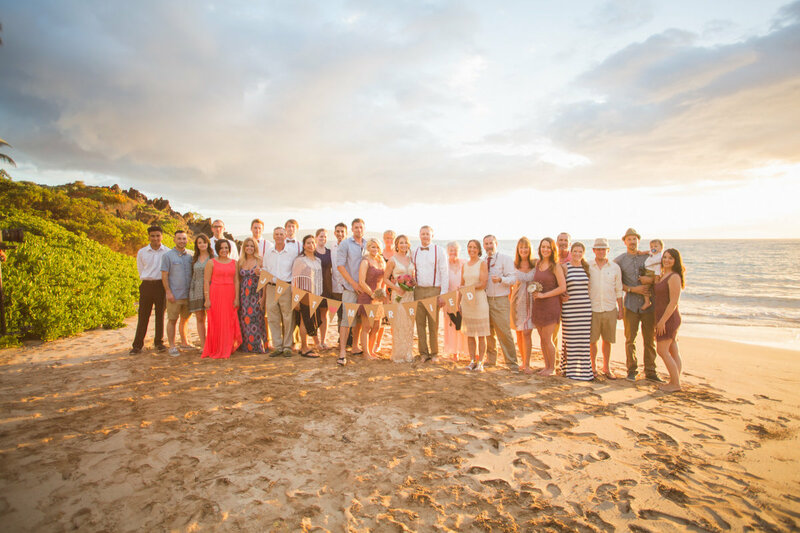 This agreement contains the entire understanding between Maui Wedding Group Inc. (MWG) Doing Business As Simple Maui Wedding (SMW) and you, CLIENT. It supersedes all prior and simultaneous agreements between the parties. The only way to add or change this agreement is to do so in writing, signed by all the parties. If the parties want to waive one provision of this agreement, that does not mean that any other provision is also waived. The party against whom a waiver is sought to be effective must have signed a waiver in writing.